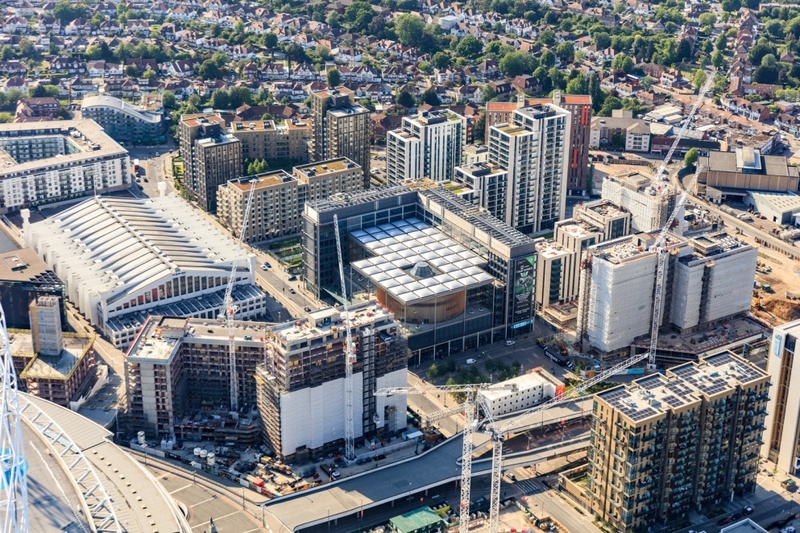 Three storeys of office and welfare space were installed over four days at Wembley Park which sees more than 11.5 million visitors every year. Construction workers on the development site will have use of the industry’s highest quality site accommodation solution as Portakabin provides almost 800m2 of welfare and office space. McLaren was awarded three building contracts by developer, Quintain for the Wembley Park development plot, which will provide around 30,000m2 of residential and retail space. The 10-storey and 15-storey buildings constructed by McLaren will include 490 build-to-rent units with associated common spaces, commercial office space and ground floor retail units. For the duration of the construction project, Portakabin installed a three-storey site accommodation building adjacent to Wembley Stadium. The buildings are in place next to the busy and iconic ‘Wembley Way’. 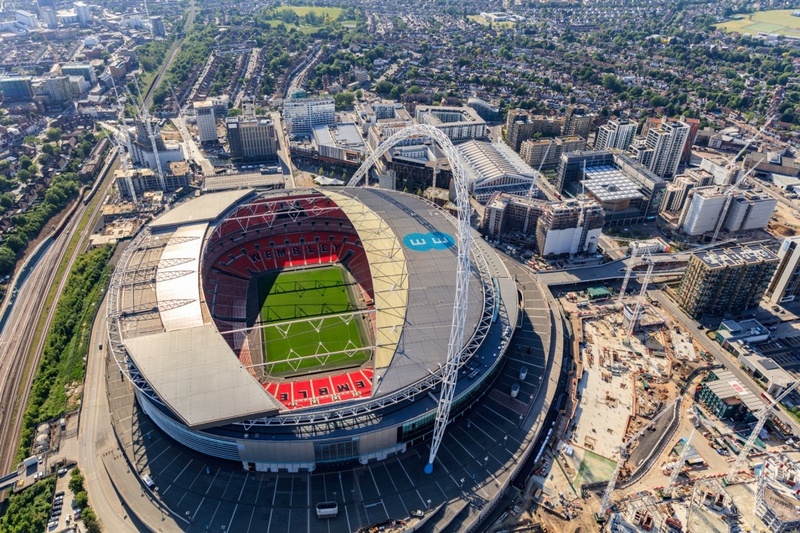 Thirty modules were carefully craned into place, over just four days, on to the site, next to Olympic Way, known to fans the world over as ‘Wembley Way’ which welcomes more than 11.5 million visitors a year. This minimised disruption to the site and also ensured there was no risk to public safety. The building will be in use for 120 weeks in total and provides 795m2 of space for McLaren office staff and construction workers. The space includes three large open plan offices, two meeting rooms, an induction room, bathroom facilities on each floor, two kitchenettes, a large canteen and professional kitchen plus a drying room and reception for visitors. The white modular building, with black exterior staircases at either end, provides a clean, modern appearance for the iconic stadium site; challenging the perception of traditional site accommodation products. 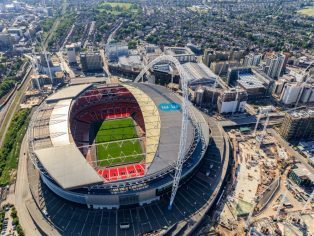 “We used Portakabin knowing we would receive a high level of service and the McLaren team on the Wembley projects were not let down. They provide great temporary office and welfare facilities finished to a very high standard and their customer service is excellent, from start to finish. © Quintain / High Level Photography. The buildings are in place next to the busy and iconic ‘Wembley Way’. © Quintain / High Level Photography.